Last updated: APRIL 15, 2019. 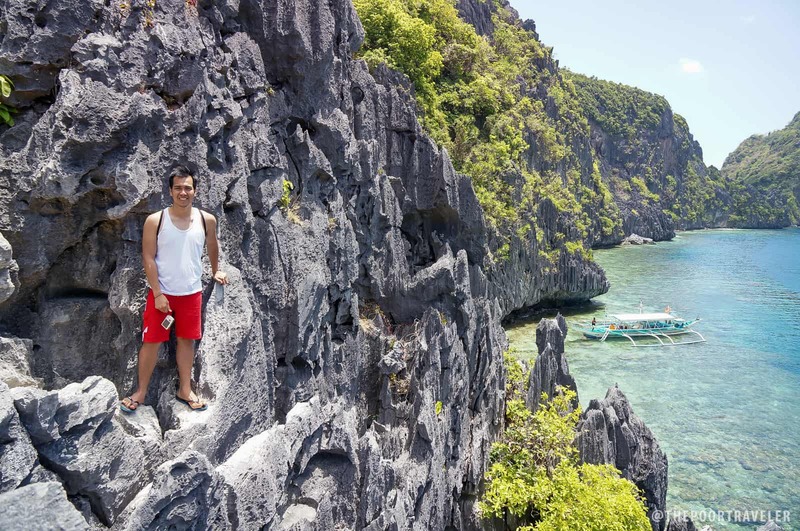 Here’s our latest DIY EL NIDO PALAWAN TRAVEL GUIDE BLOG! 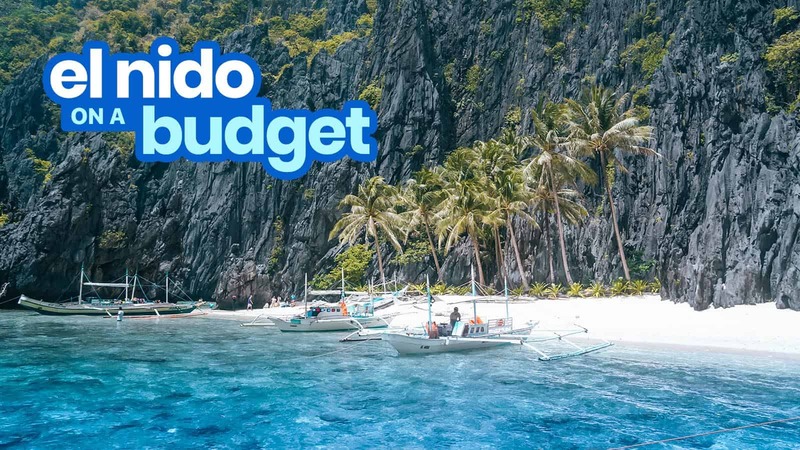 In this post, you’ll find sample EL NIDO ITINERARIES, breakdown of expenses, and recommendations on hotels, resorts, tours, and things to do. 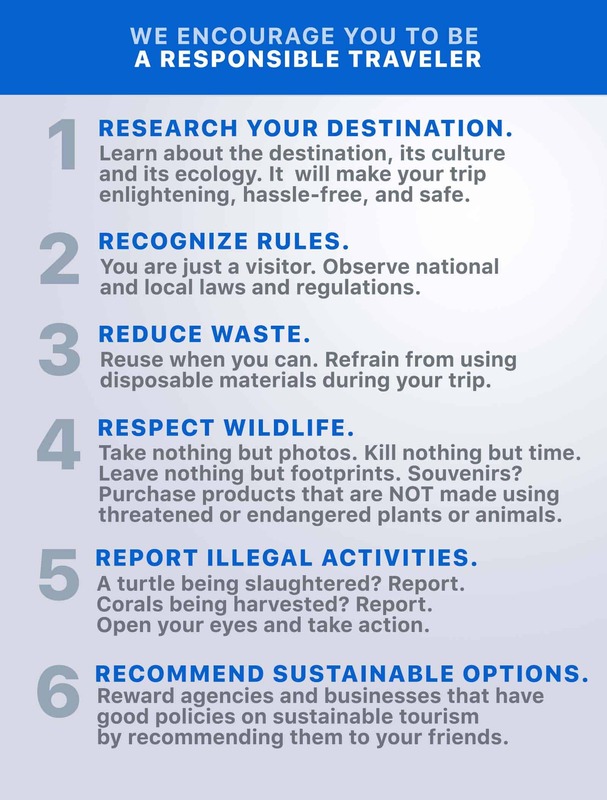 Hope this helps you plan your next Palawan trip! When I was a child and conjured up an image of a tropical paradise in a daydream, this looked exactly like this world. “This is my Narnia,” I mumbled to myself, thinking that the many years I had spent in the closet finally paid off. I chuckled. How I got here was a matter of fate. El Nido was nowhere under my radar at the time. I was under a foolish impression that only the filthy rich could afford it. But as I was simply browsing the web, I chanced upon a piso sale. I wasn’t enslaved by travel then. A full-time corporate job had the whip in a tight grip. But it was the perfect moment. A classic corporate-slave-meets-freedom moment. Every stress that work had brought me over the past few weeks was blown away by the wind, washed away by the waves of El Nido. Back then, El Nido was a bit different. It wasn’t as crowded or as developed. I could walk down the length of the town’s main street without running into another tourist. Back then, it wasn’t easy to reach. There weren’t that many flights, and the ride from Puerto Princesa would eat up over seven hours on a half-unpaved road. My friends enjoying the beach, the sea, and the view! But as I stood in the middle of it, I knew this would be the first of my many affairs with El Nido. Over the next few years, El Nido would be my go-to place whenever I needed a little bit of uplifting, even despite not being easily accessible. I returned almost every year. That’s the thing about El Nido: it’s playing hard-to-get. But it’s the kind of destination you’d want to marry. Can I visit Small Lagoon and Big Lagoon in one day? Where can I book Combination Tours? 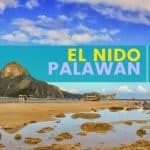 The municipality of El Nido encompasses the northernmost tip of the main island of Palawan and the 45 rocky islands dotting Bacuit Bay. 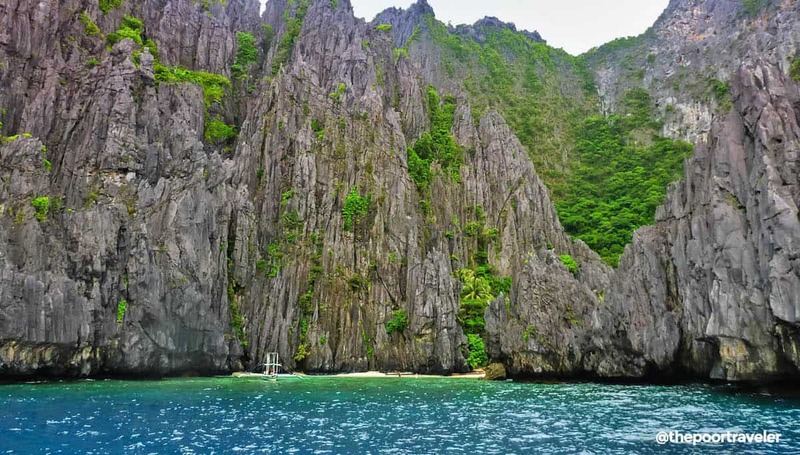 A protected area, El Nido is a treasure trove of marine life and spectacular seascape, earning it a consistent place among the best beach destinations in the world. 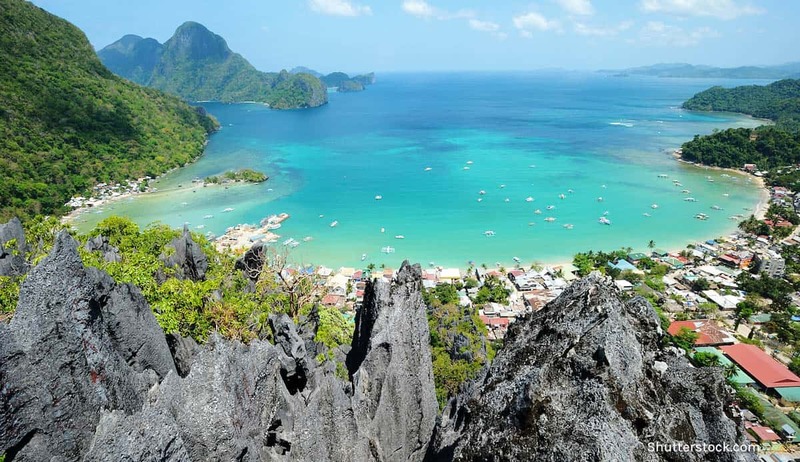 Although a first-class municipality, El Nido remains a quiet town. The town proper is tiny, with very few big establishments other than small travel agencies, hotels, restaurants, and stores. The nearest city is Puerto Princesa, the capital of Palawan, which is five hours away. Language: Tagalog is spoken by the majority. But English is widely understood and spoken. A significant fraction of the population also speaks Cuyonon and other Visayan languages. Currency: Philippine peso (PHP, ₱). PHP100 is around USD1.92, EUR 1.56, SGD2.52 (as of April 2018). Modes of payment: Cash! Most establishments prefer cash. Only a few resorts and restaurants accept credit card transactions. Many tour agencies are on cash-only basis. Money Exchange. Some restaurants and pawnshops exchange major currencies to Philippine pesos. However, it is best practice to already have pesos before you arrive because they’re not always available. Exchange while you’re in Puerto Princesa or Manila. There is one ATM in El Nido but it is often offline, so best to withdraw while you’re in Manila or Puerto Princesa. Connectivity: Most hotels offer free wi-fi but they can be slow. Both Globe and Smart have good reception in main settlements like the town proper, so it’s better to just use cellular data. Electricity Info: 220V, 60Hz. Socket Type A, mostly. Electricity supply in El Nido can be erratic. Power outages are not uncommon. Ask your hotel if they have a backup generator so you’re not in the dark in case of blackout. AirSwift is the only airline that flies from Manila directly to Lio Airport in El Nido. They operate up to four flights per day. An off-peak one-way fare is at P5100 (including taxes, a meal in Manila, and welcome snacks El Nido). An additional P200 is collected for 10kg baggage allowance. At the airport, you can travel by tricycle to the city center. Travel time: 30 minutes. Fare: 200. Another way to access El Nido is via the newly opened San Vicente Airport, located in a neighboring town. Philippine Airlines flies daily from Clark to San Vicente. Travel time is 1 hour 40 minutes. At San Vicente Airport, you can ride a van to El Nido departing at 1pm. Fare is P400. It will terminate at the station in El Nido. From there, you can take a tricycle to your hotel or resort. Fare is P50. If Airswift’s rates are a bit taller than your budget, you can fly to Puerto Princesa instead. Then travel by land from there. Puerto Princesa (PPS) has an international airport that is now much bigger and more equipped. Flights to PPS are generally cheaper than direct flights to El Nido. And they can go extremely low during seat sales. AirAsia and Cebu Pacific Air offer the lowest fares but the published rates don’t include baggage allowance, seat selection, and meals. Philippine Airlines’ have all these add-ons included in their published rates. 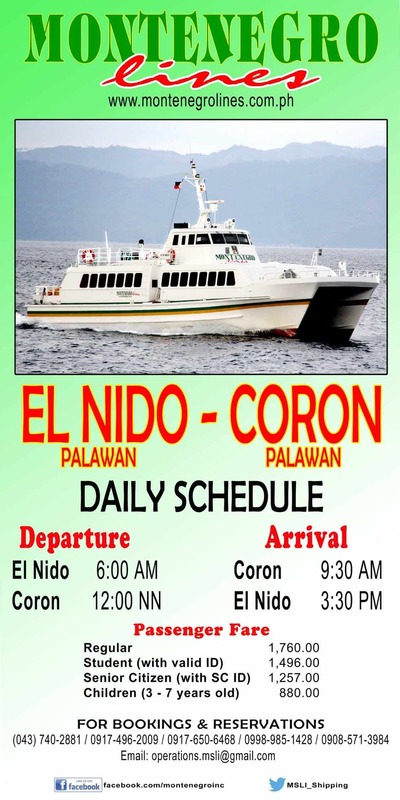 To reach El Nido from Puerto Princesa International Airport, you have two options: by van and by bus. This is probably the most popular option among tourists because it’s slightly faster. If you book in advance, the van can pick you up at the airport and take you straight to El Nido in 5-6 hours. Klook offers two transfer services: regular and DayTripper. Multiple trips are available from 5:30am to 8:30pm. ✅ RESERVE A SEAT HERE! There are a lot more van companies plying the Puerto Princesa-El Nido route, but the four above are the most prominent. Travel time is usually 5-6 hours. Based on experience, these vans are fast. That’s both a good thing and a bad thing. I sometimes find myself saying a silent prayer in the middle of the journey. And I’m not even religious! Fare is usually between P550 and P600. However, Fort Wally sometimes brings the cost down to P450 when they have a promo. Locals usually get a discount. Some of these vans don’t leave until they’re full. But it doesn’t take that long these days. 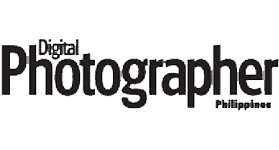 DayTripper charges more. At P875-P975 per trip, DayTripper goes the extra mile by picking up and dropping off passengers in front of their hotel, instead of the terminal. They are also known for their excellent service (with seatbelts! ), and they only need 5 passengers to go. All van journeys stop halfway for a quick restroom and snack break. The bus is another option. It’s my preferred option, actually. Buses are more comfortable now than before, more comfortable than the vans (at least in my opinion). Wider legroom, cooler temperature, and just bigger breathing space overall. Haha. The downside: it’s slower, taking 6-7 hours. And there are fewer journeys per day. But if you’re not in a big hurry, it’s a great option. Hail a tricycle and ask to be taken to San Jose Terminal. Fare is P120 per ride. Split the cost if you’re a group. Alternatively, you can take a trike+jeepney combo, which is cheaper. But since I’m guessing you have heavy bags in tow, just go straight to the San Jose Terminal. Two bus companies to choose from: RoRo Bus and Cherry Bus. Both buses will make several stops along the way to pick up more passengers, the longest will be in Roxas. The bus will terminate at the station in El Nido. From there, you can take a tricycle to your hotel or resort. Fare is P50. El Nido’s poblacion is composed of four barangays (villages): Buena Suerte, Corong-Corong, Maligaya, and Masagana. Together, they occupy two small peninsulas that jut out into Bacuit Bay. What most people refer to as the “Town Proper” is actually the settlement parallel to the beach in Brgy. Buena Suerte. Just next to it is Brgy. Masagana, best known for several more resorts and Calaan Beach. Corong-corong lies on the southern cape, with its nooks and crannies filled with fine sand. Town Proper (Buena Suerte). This is where most of the action is. Its streets are flanked with tour offices, small hotels, and restaurants. Of all these areas, it was the first to be developed. It also has a teensy bit of nightlife. Corong-Corong. 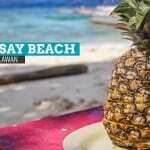 Tucked in the southern beaches of the poblacion, it has that isolated tropical paradise feel. It’s the area nearest the bus terminal. Calaan Beach (Masagana). Resorts have also begun flourishing in the area, but just like Corong Corong, it doesn’t feel crowded either. If you’re in El Nido for some peace and quiet, stay in either Corong-Corong or Calaan. But if you just want convenience, the town proper is still the best choice. 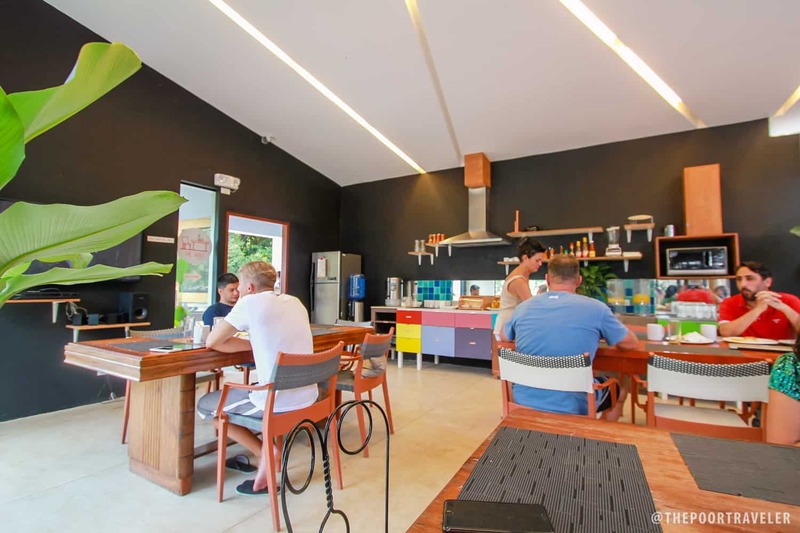 My favorite place to stay in El Nido is SPIN DESIGNER HOSTEL. It’s clean and well-maintained, has friendly service, and an environment that is conducive to forging friendships with other travelers. Because it’s in the town proper, almost everything I need is within easy reach. Coincidentally, SPIN HOSTEL is one of the top-rated properties on Agoda, so I guess I’m not the only fan. Here are the rest of the highest ranking budget accommodations as scored by online users. Spin Designer Hostel. Town Proper. 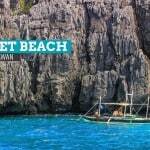 Our best hostel experience in El Nido. Perfect for backpackers and solo travelers. Offers dorms and private rooms, with fantastic common areas. Check Rates and Availability. Ricgem Place. Maligaya. Check Rates and Availability. Mina Grande Beach Cottage. Corong Corong. Check Rates and Availability. Outpost Beach Hostel. Sitio Lugadia National Highway. Check Rates and Availability. Joaquinn’s Bed & Breakfast. Barangay Buena Suerte. Check Rates and Availability. Balay Paragua. Town Proper. Check Rates and Availability. 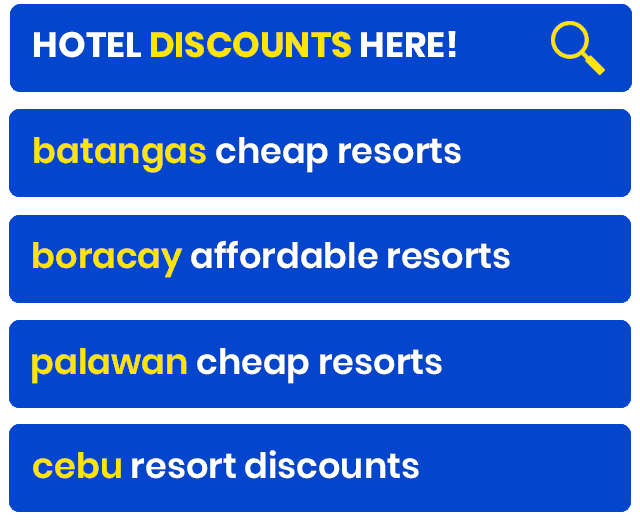 Aside from these, you can find basic, no-frills dormitories that offer beds for P800 and below per night. One of these is At The Moment Hostel in the town proper and Dormitels.ph in Corong-corong (P800 per night), but I haven’t tried either. One great thing about El Nido is that most key attractions, especially the islands and beaches, are grouped into tour packages. The tours are also regulated and standardized. Boatmen and travel agencies must abide by the rules and guidelines that they set in order to provide a smoother and more consistent service to tourists. 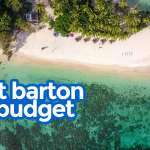 A price ceiling is in effect, which means tour operators cannot sell tours at rates higher than what has been set by the government. 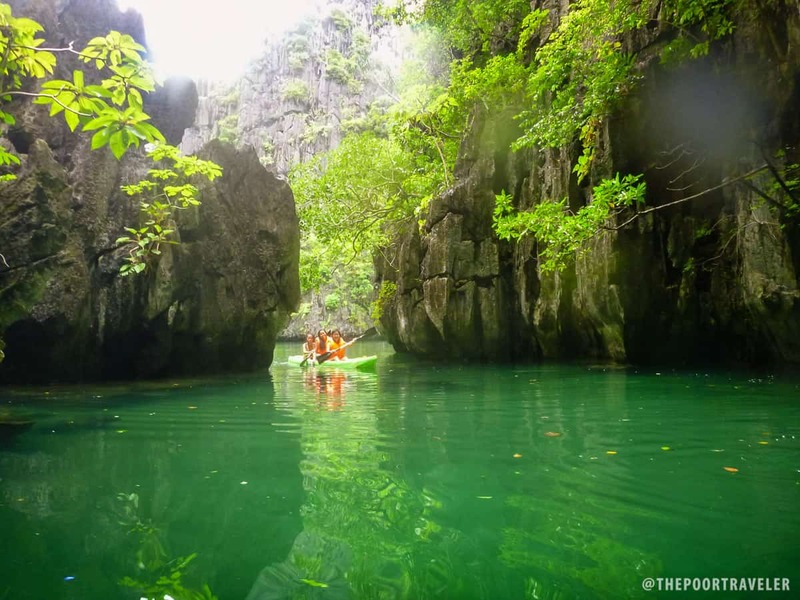 The two most visited spots in El Nido are the Small Lagoon and Big Lagoon of Miniloc Island, both used to be part of Tour A, which covers Miniloc Island. For the longest time, Tour A was the most popular island tour, attracting more tourists than all the other three by a mile.  In effect, these sites are prone to overcrowding. To address the problem, in November 2018, the local government split the two apart and reassigned Small Lagoon to Tour D.
If you’re alone or a small group, you will be merged with other smaller groups to fill a boat. If you want a private boat, you can charter one too. You can visit only one premium spot per day. Premium spots are: Big Lagoon (Tour A), Small Lagoon (Tour D), and Secret Beach (Tour C). You can’t visit Big Lagoon and Secret Lagoon on the same day. You can’t visit Secret Beach and Small Lagoon on the same day, either. Combination tours are now prohibited. Pre-registration is required for visitors going to Small Lagoon, Big Lagoon, or Secret Beach. This allows the government to monitor and manage the volume of tourists. To register, just give your name and contact details to the tour operator when you book and they will register for you. Additional fees are collected at certain spots. Yes, these are on top of the tour rate and the eco-tourism development fee (environmental fee). We’ll indicate these fees below. Book in advance. Only a limited number of visitors are allowed on a premium spot on any given day. Lunch is included in group tour packages. The boatmen will prepare lunch on one of the stops during the tour. Lunch must be composed of the following: grilled fish, grilled pork or chicken, rice, vegetables, and fruits (usually bananas, watermelons, or pineapples). WATER is usually not included, so bring your own. Here are the details of each tour. I’ve been fortunate enough to try all of these tours! I also included Klook links for Tours A, B, C, and D below. Klook’s offers are lower than the standard rates and include hotel pickup and drop-off. If it’s your first time in El Nido, choose Tour A. Tour A takes you around the limestone paradise of Miniloc Island and its Big Lagoon. The sights at Miniloc are usually the ones perfectly captured in postcards. There are a couple of beach stops: one in Simizu Island and another at the 7 Commandos Beach in mainland El Nido. You can go kayaking around Big Lagoon! Let the boatman know beforehand that you intend to kayak so they can prepare the units for you before you leave town. Stops: Big Lagoon and Hidden Lagoon on Miniloc Island, Simizu Island or Payong Payong, and 7 Commando Beach. Additional fees: P200 Big Lagoon fee. P200-250 for optional kayak rental. 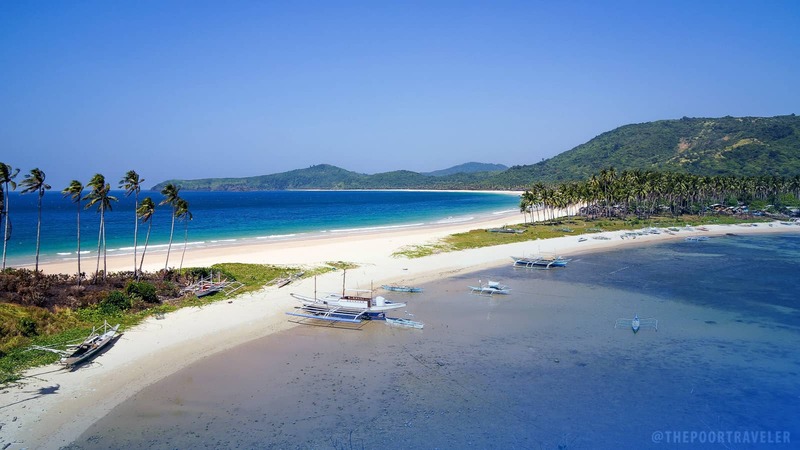 Although half of the stops of this tour are caves, its most well-known attraction is Snake Island, which is actually a narrow sandbar that connects mainland Palawan to neighboring Vigan Island. Additional fee: P100, Cudugnon Cave entrance fee. If you’re powder-chasing, sun-worshipping beach bum, Tour C might be a better bet. Its main attractions are its fine, white beaches that hug the jagged coastline of Matinloc Island and Helicopter Island. The highlight of the trip is the Secret Beach, a hidden pocket of fine sand enclosed by towering karst cliffs, which is widely believed to have inspired author Alex Garland to write his novel The Beach, at least according to legend.. It is accessible only via a small opening that requires visitors to swim through it. Some of my friends got injured on the way. Note, however, that Matinloc Island is a bit farther, which is why it costs more. Also, it faces the violent West Philippine Sea, exposing the passengers to bigger waves. If your time allows you to multiple tours, make sure to do Tour C first if the weather is pleasant. Boatmen are more likely to cancel Tour C during inclement weather. The waters circled by Tours A, B and D remain calm most of the time. Additional fees: P100, Matinloc Shrine entrance fee.  Tour D was the last that I tried because I had always treated it as a last resort. 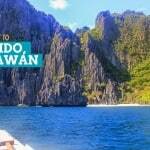 Tour D explores the beaches of Cadlao Island and a few on mainland El Nido. Small Lagoon is the new addition to this tour. It used to be part of Tour A but was reassigned to Tour D in order to manage visitor traffic in premium spots. Additional fees: P200, Small Lagoon fee. P200-250 for optional kayak rental. The rates above cover transportation only. Food is not included. Rates are PER TRIP, not per person. If you’re a group of four sharing a tricycle ride, each should only pay P375. To book, contact Northern Hope Tours at +63 927-735-3221 (Globe) and +63 939-902-2216 (Smart). Anyway, apparently, there exists a SAFER trail! If you approach the mountain through Ferrata Nature’s Canopy Walk. The jump off point is within the town proper so it shouldn’t be hard to find. They also provide guides and helmets to guests. The viewpoint isn’t as high as the one at the end of the other trail, but it is said to be close enough. But it’s far safer. Yeah, I said that before. Just reiterating. El Nido seems to not have a distinct, world-famous cuisine, but it has an emerging food scene, led by boutique restaurants. I can’t count the number of food places that I have tried here over the past several years. Those fostering a unique vibe win in El Nido. Whether it’s a spectacular view or the character-filled interiors, the most popular dining places in El Nido are those that go beyond food and adds a little something to the experience. Sadly, however, most of them are overpriced, charging P350-P450 for a meal that is forgettable at best. Two restaurants stand out in my memory: Trattoria Altrove and Artcafe. Trattoria Altrove is an Italian restaurant in the town proper (a short walk from Spin Hostel, but they have another branch in Corong-corong). I was with a group of friends when I dined here. 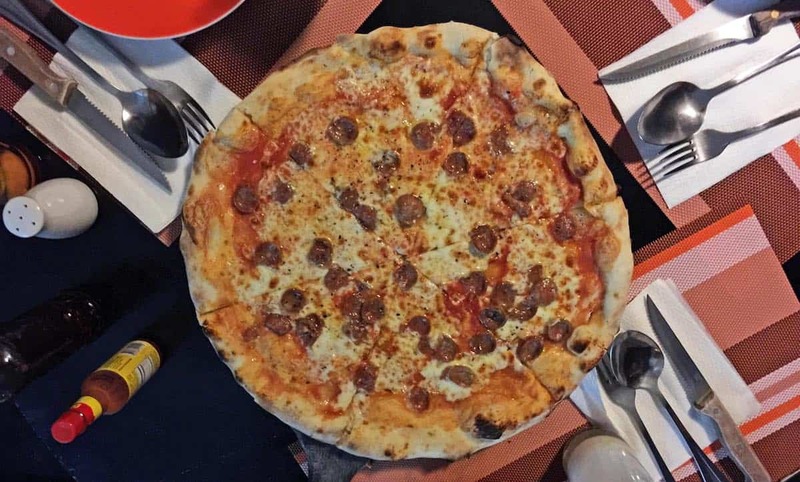 Everyone on our group ordered something different and we loved every single dish served to us, from the wood-fired oven pizza to the risotto. A pizza costs somewhere between P320 (margherita) and P650 (with truffles), while pasta between P300 and P350. Not all restaurants in El Nido cater to the aspirational Instagram-influencer in you. Your practical side would be glad to know that there are cheaper options too. Typical carinderias serve dishes for less than P100. Places like IBR Fast Food may not be IG-worthy (LOL) but they serve a filling meal for P90-P150. Tapsilog and pansit, anyone? 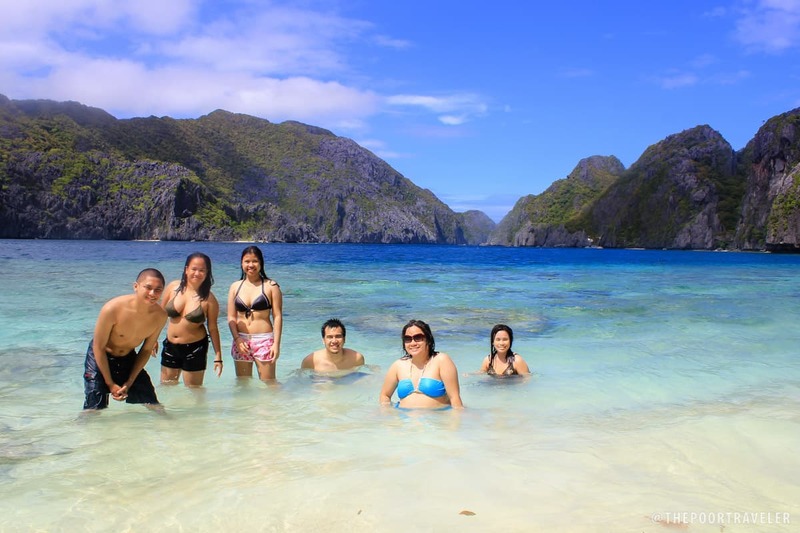 Below are two sample El Nido itineraries, which you can use as basis for your own. Just make the necessary adjustments to match your preferences. Also included is the breakdown of expenses. You’ll be staying at SPIN HOSTEL dorm or any room in the town proper for P1000 per night. You’re coming from Puerto Princesa Airport and traveling by bus to El Nido on your first day. This means that much of your Day 1 will be spent in transit. You’ll arrive in El Nido in the early afternoon and give you plenty of free time after that. Use this time to scan, compare, and book tours. You’re taking the overnight bus to Puerto Princesa on your journey back. This way, you get to maximize your last day and save one hotel night. Your flight should be in the early morning of the next day. You’ll be paying the standard rates of tours. You can haggle for much lower rates especially if you’re a big group. But for this itinerary, I decided to just use the standard rates so you have extra budget allowance. For me, this is an ideal itinerary. Given everything that I know now, if I would be visiting El Nido for the first time, this is how I would do it. 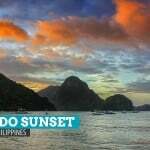 This itinerary won’t give you the cheapest trip, but it will allow you to experience the best of El Nido at a relaxing pace. 09:00 pm – Good night! If you follow this itinerary, prepare to shell out P9750 (USD189, EUR167, SGD256) per person excluding airfare and kayak rental. Much of the budget is eaten up by the tours and the food. You can still bring the total cost down by limiting your meal budget. This is a budget itinerary. 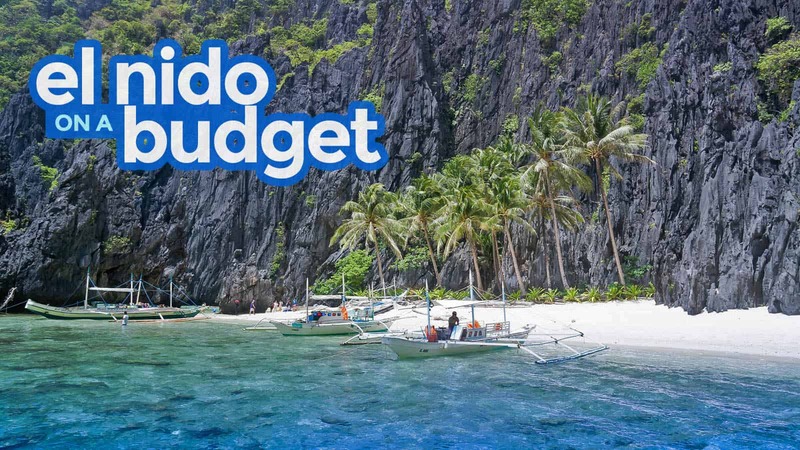 In this case, you’ll be spending only 3 days in El Nido and limiting your food expenses to only P150 per meal. This itinerary will set you back around P6500 (USD126, EUR112, SGD170) per person excluding airfare and kayak rental. You can even reduce the total cost by taking an ordinary bus instead of an air-conditioned one, or by staying at a much cheaper dorm. Pay the P200 environmental fee and keep the receipt. You only need to settle this once so don’t lose the receipt. Someone sometimes checks if visitors have paid for this before boarding the boat for the tour. If you can’t prove it, you might be asked to pay again. Puerto Princesa Airport collects a P200 terminal fee. 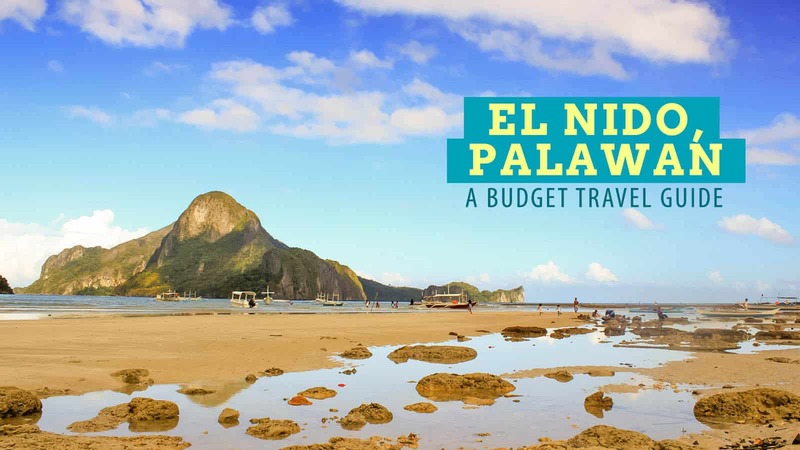 Make sure you don’t spend every single peso you have in El Nido. Tip your boatmen. What they do isn’t easy. If you enjoyed their service, show your appreciation. When I have successfully negotiated down the cost of tours, I usually just give the amount that I saved to the boatmen as tip. El Nido has a very, very low crime rate. But please don’t leave your belongings just anywhere. There are also no hospitals here, so please be very careful. The nearest major medical center is in Puerto Princesa. Also, there are no terrorists in El Nido. January to April. These dry months are the sunniest. However, this period is also the peak season, especially March and April, which are widely considered the “summer” months in the Philippines. For me, the most ideal time to visit El Nido is January-February. Weather’s still fine but the place isn’t crowded. Thanks to its location (and isolation), mainland Palawan isn’t hit by typhoons as often as the other parts of the Philippines. It’s wired differently. 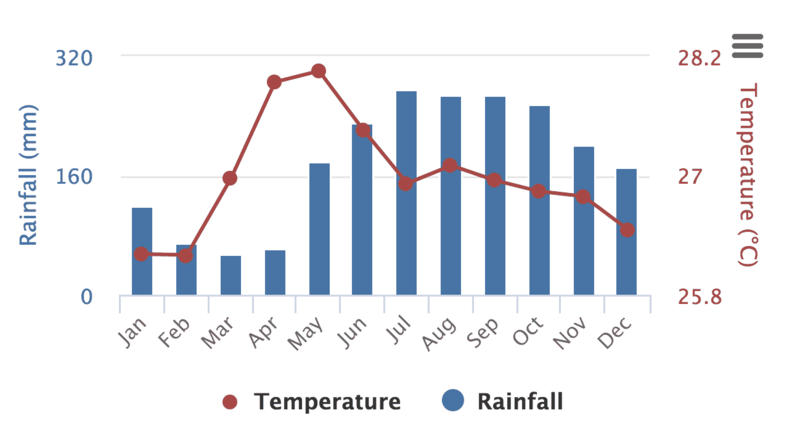 November sees the start of the dry season for the rest of the country, but it’s still pretty damp in El Nido. Short and passing rain showers are also expected in the afternoon even on some “dry season” days. There is only one ATM in El Nido (BPI), but don’t count on it. Withdraw cash while you’re in Puerto Princesa or Manila, before coming to El Nido. No, not anymore. This was possible because they used to be part of the same tour, Tour A. But in November 2018, Small Lagoon was reassigned to Tour D in order to minimize tourism impact and manage visitor traffic. To monitor, pre-registration is now required for those visiting Small Lagoon, Big Lagoon, and Secret Beach. When you book a tour, the operator will collect your personal details and they will take care of the rest. It is already prohibited. For travelers staying in El Nido for a short time, combination tours allowed them to see as much of El Nido as they can. Common combo is Tour A/C. But this is no longer allowed. If a boatman offers this tour, they are operating against the rules. No prob! Enjoy El Nido! I always check your blog to have an idea of how to enjoy the trip with a limited budget! I always wanted to go to Palawan whether El nido or Coron. I am just having second thoughts as I always have my yearly vacay on rainy season (I am an OFW, btw). Have you tried visiting Palawan during monsoon season? July-Aug? Hi Weywey, yep, I once did a 2-week trip in Palawan. It was sunny on my first several days (Puerto Princesa, San Vicente), but it eventually got rainy on our last days (El Nido). Thank you for creating this blog! Just wondering though what are your top 3 picks out of tours a, b, c, and d. Thank you! You can do both. If you decide to book it in advance, may mga links sa post above where you can book tours. Your post is GREAT, i got all the info i need to visit this place, many thanks. Thank you for your really useful report. I am thinking to spend my days in Coron since I have wrote that is wilder and there is less tourist compare to el Nido. Could you provide your thoughts about it? Hi Jose, both Coron and El Nido now are very touristy, although yes, Coron may have more less touristy spots than El Nido. But what’s good about El Nido is you can also visit San Vicente/Port Barton from there. San Vicente/Port Barton are really off the beaten path, so if you don’t like touristy places, they are worth checking out. I like your blog! So detailed. Looking forward on this El Nido adventure. How do I get from San Vicente airport to El Nido? Hi, we plan on travelling from Puerto Princesa to El Nido via the last bus trip so we will be arriving in El Nido in the early hours. Would you know if there are any hotels in El Nido that accommodates early check in (as early as 6AM)? Same question for Puerto Princesa. Thanks! Hi Myra, I think most hotels allow early check in IF there are rooms unoccupied that morning. It still depends on the availability. Happened to us once, we arrived at Spin Hostel around 8:30am, but since there were rooms that were unoccupied that morning, they checked us in immediately. Hi, any recommendation where I can book ahead or where to book for a combot tour a and c? It’s not offered in klook kasi.. is Corong corong far from the town proper of ever we decide to stay in Corong but also wanted to have some nightlife back in town? Hi Maria, I don’t have any contact. But what I usually do for combi tours is shop around pag andun na. Kaya naman i-tricycle ung Corong Corong from town proper. Apparently, di na allowed ang combo tours ngayon. Hi! I noticed on your 3days itinerary that you availed COMBO tours for 2000 / pax only. How is that possible? Where did you avail it po? Thanks! Hi Anne, ino-offer sya talaga ng mga tour operators dun sa El Nido. Yan yung rate na chinarge sa amin. Wala akong contact nung bangkero though. I’ve heard that there’s new regulation in EL Nido hindi na raw allowed ang combo tours. Asked rin po ako if update ang fare sa bus? By the way very informative ang blog. We’re still checking if may nagbago sa bus fares na since our last update. Planning to go to El Nido this February, and we are in the dark on how to do things coz it’s our first time, you’re blog helped a lot. Salamat! Thanks din, Nally! Enjoy El Nido! Thank you for sharing a very detailed info..
Kinilig ako when I saw your photos!! 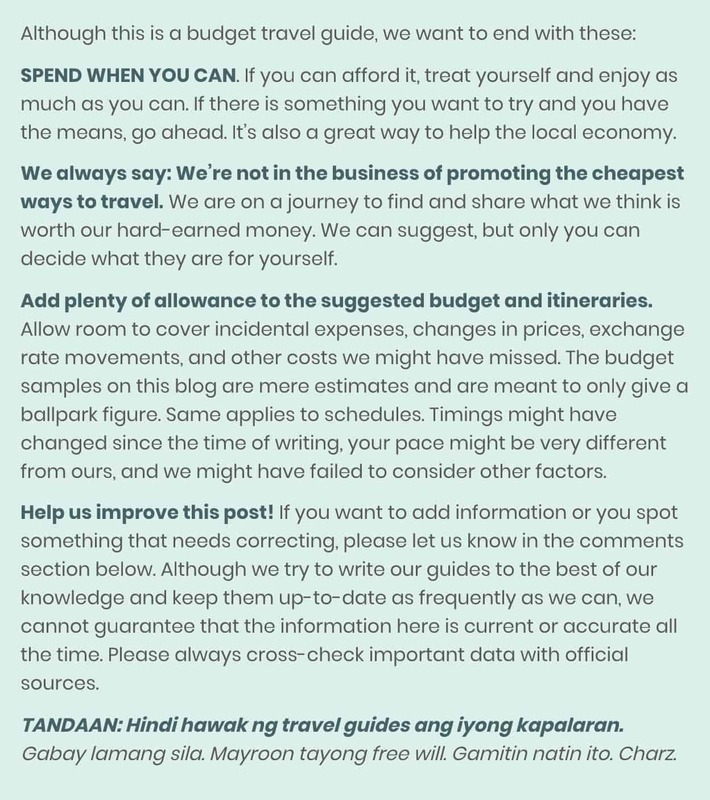 First time el nido traveller and such helpful tips from you…thank you! Thanks, Jamie! Enjoy El Nido!